The course was right to the point and what I needed. Thank you. The book is an excellent resource. Thank you. Excellent course. Right on point. Great initial instruction for a newly accredited attorney like myself. Book is very helpful. Clear and concise. Excellent course! Very thorough and informative. The course was very helpful. It is right on point with my practice. I thought the CLE course was very informative. Coming from a family of veterans who have struggled with obtaining their benefits and working with some veterans who have also struggled I found the information useful as most try to use the ebenefits platform which apparently is not the best route at this time. Understanding the simplest and most efficient way to streamline the process is important and I appreciated the candid information that was presented. I have not read the entire book so I do not feel I can give adequate feedback on it yet but I am sure I will find the information within the book just as useful. This course was very informative, and all questions were answered in great detail, from first hand experience. The book appears to be packed with relevant and useful information for Veterans and their attorneys. Repeat customer, attorney and Marine Corps Lieutenant Colonel (Retired). The course was excellent, each module was well narrated and provides a practical description and useful tips on how to file under the new claims system. The new book appears to be a great resource too. Thank you! The CLE courses were very informative and covered a wide range of topics that commonly come up with VA cases. It was a comprehensive program, great job! It was great. Very informative and user friendly. Informative, well-organized presentation. The supporting materials will be extremely helpful in my practice. Enjoyed the CD and presentations. Useful and got me thinking about several ongoing matters. Thanks. I found this course to be extremely helpful and infomative. Great info... the course with the book is a great resource and excellent bargain...will be coming back!. I'd suggest making forms a download, as well, instead of DVD. I work on a machine with no CD/DVD available. Many people do these days. Great material, though. Very useful. Outstanding material and very helpful. Very informative. I needed the updates and information. I need it regularly. Thanks for such a helpful and thorough course! Very informative, easily understood and completely relevant to practice of representing veterans. This was good. Informative. Applicable. Would recommend. Thank you! Informative. Applicable. Would recommend. Excellent course book and CD overview. Very comprehensive training and great information! Informative, but sometimes too repetitive. Would recommend. The course is a good overview and the book is a very detailed analysis of VA claims. Thank you for all the outstanding work, preparation and detailed material! I found the CLE very informative. I personally have an easier time learning the material when I can watch a video of the live person lecturing with a print out of the slides, however, the slides contained a lot of important information. I found the course very helpful. Your staff did a nice job highlighting areas of concern and directing the user back to the code or to the other disk resources as necessary. I'm an accredited attorney and the course did a wonderful job of pointing out where a initial claim ends/fails and an attorney's practice before the VA starts. Very thorough and informative course which should prove to be invaluable in my practice. Solid course: great primer. Some difficulty figuring out what modules applied. The course was very interesting. The only problem I had was hearing the narratives, especially when women were speaking. Great course. Very detailed and thorough. I thought the course and book were (and are) very informative. It was truly a good summation to be able to take a step back and look at the forest for the trees. Great program full of pertinent information and practical tips for submitting successful claims. The course was informative and interesting with useful practice tips. The book has enough information to be able to actually do the work. Informative: Yes. Applicable: Yes. Recommend: Yes. It's excellent and well organized. Please add an extra segment regarding exactly what the fee agreements should look like and where and when they should be filed. Very thorough. Informative. Applicable. Would Recommend. Very informative. It is also imperative for all accredited attorneys to complete, who are looking to represent Veterans before the Department of Veteran Affairs. The CLE course & text is invaluable materials. Well written. The course provided a good overview of VA and the book seems to be helpful with listing necessary steps for a claim. The CLE was informative and the book is a great addition to my knowledge library. I'm glad I found this CLE that allowed me to learn from my computer and at my convenience. This course and materials are clear and extremely informative. 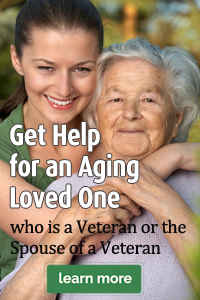 They are invaluable resources for attorneys hoping to assist America's Veterans. The course and the book are both exemplary. Bravo! It was very detailed and yet very practical; I would recommend! This course is well organized in short modules to provide the key details in an abbreviated fashion. The presentation is very informative and perfectly accompanies the "How To Apply..." book included in the course materials. Excellent VA CLE course and very useful accompanying course material! This was an especially thorough and well-organized presentation. I look forward to additional course from NCPC. I would like to see a more in depth class. Very well done and informative, and thorough. Thank you. I found this course very informative. The amount of useful information it contained was beyond my expectations. great course, I highly recommend to to any attorney practicing in Ohio. The course was a detailed outline of veterans' benefits. The book contains everything you need re: VA benefits. Very useful and the accompanying book and electronic documents will be quite helpful in my practice. Excellent course, very informative. Useful forms. I enjoyed the course and the materials are very helpful. How to Apply for Dept of Vet. Affairs Benefits for Senior Vets and Their Survivors was excellent. Excellent CLE. Informative. Applicable. Would Recommend. Informative: Yes. Applicable: Yes. Would recommend: Yes. A bit dry but I got a decent overview, when combined with the additional materials and the book, of the VA benefits process. This is the most comprehensive organized, and practical material I have experienced regarding VA benefits. Good resource, will use the book in my practice. Written materials are superior. Oral presentation is too slowly paced. Powerpoint-type slides should be updated with video of speakers. The book and form materials will be very helpful in my practice. Good review of an area of law which most lawyers have little experience in. I really appreciated the in-depth descriptions and instructions provided. I have no doubt the book will prove useful! This is by far the most informative Veteran's CLE I've taken to date. I found the course, materials and forms provided helpful. I also knew very little about VA Benefits other than compensation. The course and book are very informative and helpful for understanding veterans law. I learned a lot even though I have done VA applications for a few years now. There were some good practical suggestions obviously based on their experience. It was a good refresher course. The book seems to be thorough and very useful in my practice. Excellent course. Very detailed and hands-on. This was an excellent in depth course and fit my needs perfectly. I would definitely recommend this Course and the Book. The additional disc is a wealth of knowledge. A great, to-the-point CLE with excellent materials. A definite recommendation for those who need to keep their VA accreditation current. Informative and applicable. I would recommend. The speakers were very mono toned. They need to spice it up a little bit. I've attended VA Benefits CLEs in the past and this course provides the most detailed, applicable information by far. The accompanying text book and CD will be a great resource to use going forward. Thanks! Informative and useful. Recommended for any professional to equip themselves with all the information needed to assist persons with VA claims. Well done and good detailed explanations. Great forms and needed checklists to assist in filing of applications. The videos provided a great overview of this area. The book is very informative and the checklists are extremely helpful. Thank you. I would prefer if the presenters did not simply read so much. The few times they went off-script were the interesting segments. Very informative - especially touching on the broad range of VA services and putting A&A in its proper perspective. Other programs have emphasized A&A and glossed over SC claims.